With an educational and professional background in print journalism, Mike Givens spent nearly six years as a communications specialist for the Service Employees International Union Local 1199, where he advocated for the rights of healthcare workers and other marginalized communities. He then transitioned into the role of communications and public relations manager for MassEquality, an LGBTQ rights organization. He helped craft a comprehensive communications program and secure several statewide victories, from enhanced anti-bullying protections in public schools to electing pro-equality candidates to office. 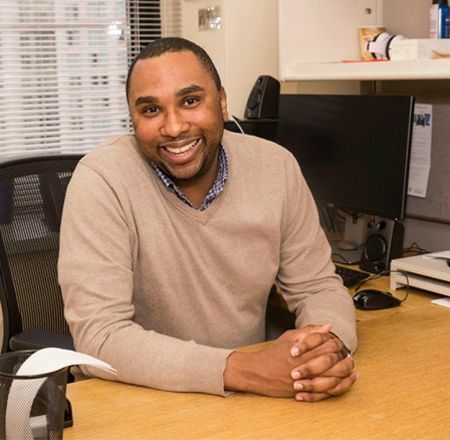 He most recently served as the communications manager for The Hyams Foundation, Inc., a philanthropic organization mobilizing resources for racial equity work in Greater Boston. Currently, Mike is the associate director of strategic communications for the Unitarian Universalist Service Committee (UUSC), an international human rights organization that affirms and protects the dignity of vulnerable people in more than a dozen countries across five continents. Mike is also the assistant editor for The Rainbow Times, New England’s largest LGBTQ newspaper​,​ and a contributor to Eastern Bank’s Join Us for Good campaign. He hails from Virginia and holds undergraduate degrees in English Literature and Marketing Management from Virginia Tech and a master’s degree in Investigative Journalism from Boston University.